Former Chief Minister and President Peoples Democratic Party (PDP) Mehbooba Mufti has cautioned that in a bid to save its sinking ship, there are apprehensions that Bhartiya Janata Party (BJP) led government is preparing to launch another Balakote type attack against Pakistan. Addressing workers’ convention in south Kashmir’s Bijbehra and Pahalgam Mehbooba said that the as Modi led government has failed in every front with masses perturbed, joblessness spiralling and economy witnessing a dreadful dip. She said that the BJP tried its best to polarise the situation and instigate communal riots all across. “When nothing worked, it enacted a drama called Balakote strike. During the very first phase of the ongoing elections, BJP has foreseen its defeat and in order to garner votes and hoodwink the electorate there are apprehensions that Modi led government is preparing to launch Balakote type one more attack against Pakistan,” she said. Reacting to the statements of West Benegal Chief Minister Mamata Banerjee and Delhi Chief Minister Arvind Kejriwal in which apprehensions were raised over the authenticity of the Pulwama suicide attack, Mehbooba demanded a thorough enquiry to ascertain the facts. “A thorough probe should be conducted so that the truth behind Pulwama suicide attack comes to fore and questions raised by senior political voices are answered sans any hindrance,” Mehbooba said. The former Chief Minister also slammed the BJP leader and Finance Minister Arun Jaitley’s statement about Jamaat-e-Islami- PDP bonhomie, stating that in a democratic setup, the socio-political and religious organisation- Jamaat-e- Islami- has every right to propagate its ideology and function without any hindrance. “As Chief Minister, I was under tremendous pressure to ban Jamaat-e- Islami in the state. 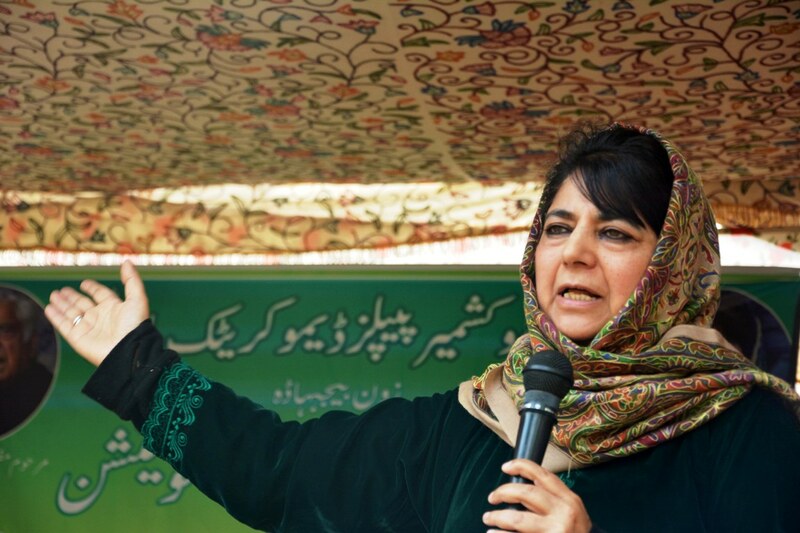 However, I refused to sign on a dotted line due to which BJP was compelled to run away from the coalition,” Mehbooba said and added that the PDP will continue its fight so that ban on JeI is revoked and the organisation is allowed to work freely once again.